You've finally found the home you love. Now what? Though every housing market is different, you can expect to follow these seven steps in buying a home, from offer to closing. 1. Making an offer: If you're sure the home you love is right for you, it's time to make your move. This means writing up a formal purchase offer to buy the home and signing a real estate contract. Even though it's early in the buying process, you still must sign a legally binding contract. With your signature, you're committing to moving ahead with the seller. Keep in mind you can add contingencies to many real estate contracts. For example, most real estate buying offers will be contingent on a property inspection, as well as disclosure review, loan approval, appraisal and other matters. Such contingencies enable buyers to opt out of the contract if unexpected problems or concerns pop up. 2. Disclosures: In most states, sellers are legally required to provide homebuyers with disclosure documents, a preliminary title report, copies of city reports and any specific local documents. In California, for example, an earthquake hazards report or a geological survey is required as part of the disclosures. In some areas of the South, especially near the Gulf Coast, homebuyers usually receive flood maps and reports relevant to the property being considered. In addition, sellers must disclose any known issues that might affect the property's value or habitability. Usually, in a transfer disclosure statement, sellers must answer a series of "yes" or "no" questions about the property, the neighborhood and their experience there. If there have been leaky windows, violations from the city, work done without permits or plans for a major nearby development, the seller must disclose them. If there are significant issues, the seller's agent would likely have brought them up before the contract signing. But if something is disclosed here that is a negative factor for you, it is your "out" of the contract. 3. The appraisal: Most homebuyers put a certain amount of money down toward the purchase price. The balance will come in the form of a bank loan (usually). But a bank isn't going to hand over that money without due diligence. An appraisal is the financial institution's way of making sure the contract price is the right price. So the lender sends out a third-party appraiser, which the buyer pays for, to confirm that the contract price is in line with the neighborhood's comparable sales. If it's not, the bank can deny the loan or change the terms. 4. Inspections: As part of the real estate contract, you have the right to a property inspection of the home you're buying. The most common is a "general" property inspection, in which the inspector checks the home from the foundation to the roof and investigates all major systems and components. 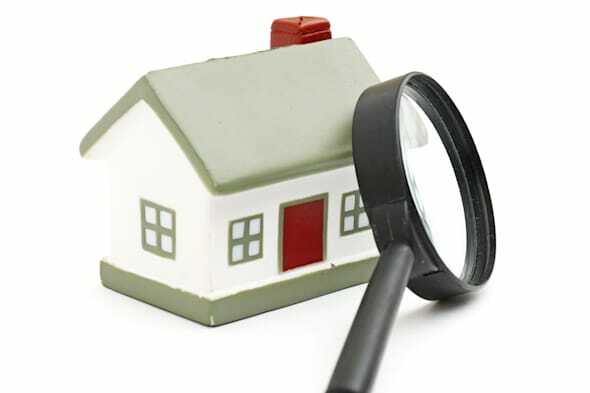 As the homebuyer, you should follow along with the inspector to learn more about the property. For example, you'll want to know about the components (such as the water heater) and have a plan in place for maintenance. After the general property inspection, the inspector may suggest having a specialist come out. This could be a roofer, electrician, HVAC specialist or even an engineer. Listen to the inspector and have any recommended follow-up inspections. Remember: This is your one chance to approve the property from top to bottom. If issues arise, you may be able to negotiate a fix or credit with the seller. If something major arises and it's not what you signed up for, you can exit the contract via your inspection contingency. 5. Loan approval or commitment: In addition to making certain the property appraises at no less than the contract price, the bank will want to fully approve your credit, debt and income history. The bank will also want to approve the property's preliminary title report to make sure there are no liens recorded against the property that might affect its value. The bank can take up to 30 days to complete its review, which should result in a loan commitment or full loan approval. Once that's completed to the bank's satisfaction, you're guaranteed a loan, and you're one step closer to closing. 6. Final walk-through: Just before closing, you should walk back through the property to make sure it's in the condition it was when you last saw it. Make sure the seller didn't remove any fixtures, make modifications or leave behind garbage or debris. You also want to be sure any fixes you negotiated with the seller have been completed. 7. The closing: Depending on the market, the closing may happen at an attorney's office or with an escrow officer at a title company. In some jurisdictions, the buyer and seller don't ever meet. Each goes in to sign their closing papers separately. In others, the buyers and sellers sign the closing documents together. Also, thanks to current technologies, some closings can now happen remotely using wire transfers and overnight delivery of documents. Regardless of how a closing happens, if you're a buyer and getting a loan, plan on signing dozens of documents at closing. You'll need to show photo ID, as your signature will be notarized. Prior to the closing, your real estate agent, attorney or escrow officer should send over a closing statement to review. The statement details your final closing costs and the money you need to bring to the closing. The funds can be wired in or paid with a cashier's check on closing day. Be sure to ask for the statement early, so there aren't any last-minute surprises. What Do Buyers & Sellers Pay in Closing Costs?